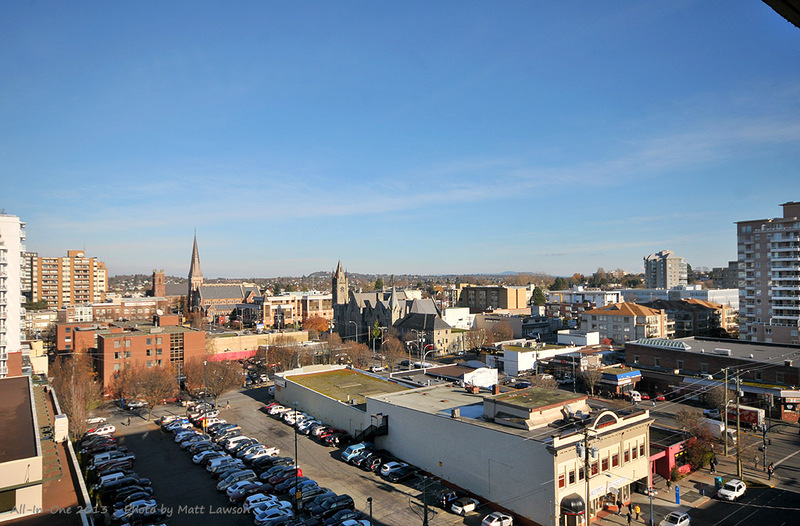 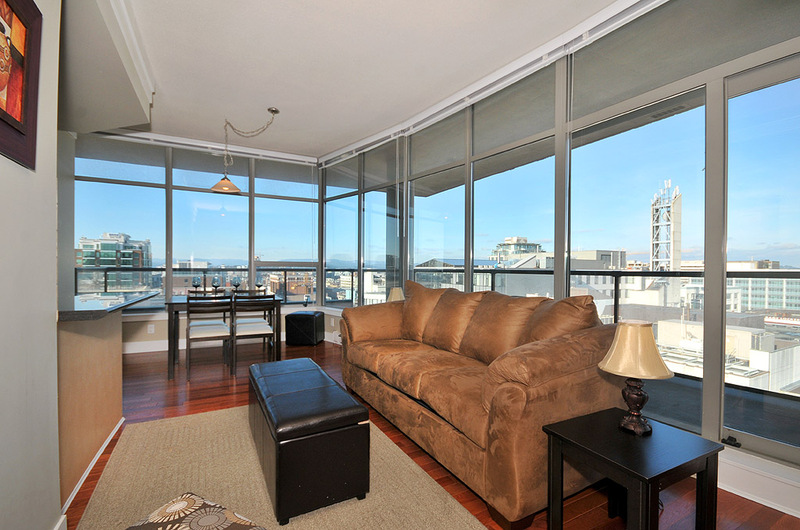 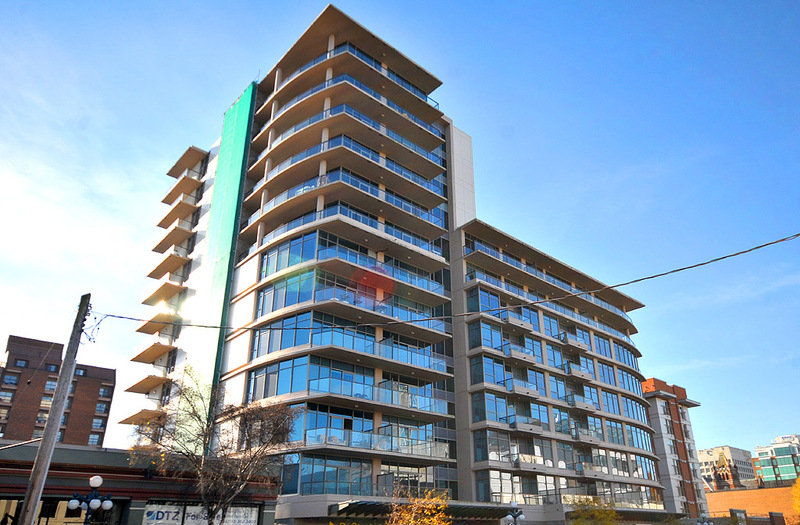 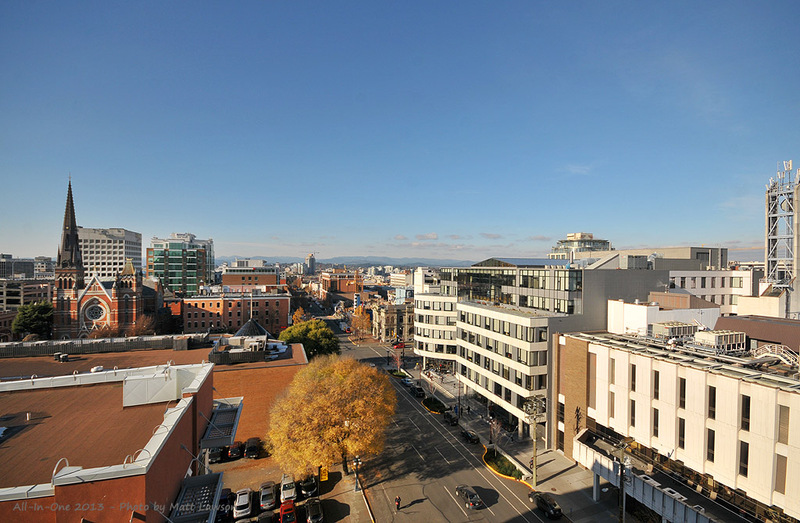 The Wave 9 is conveniently located in the heart of Victoria's city centre Yates Street business district. 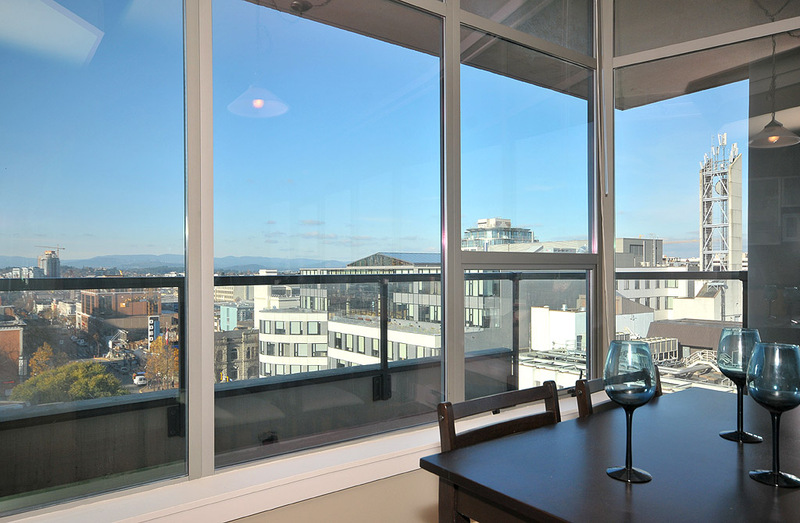 This west wing top floor 1 bedroom condo has sweeping views of the city, Sooke Mountains, Mount Baker, and peak-a-boo view of the Inner Harbour. 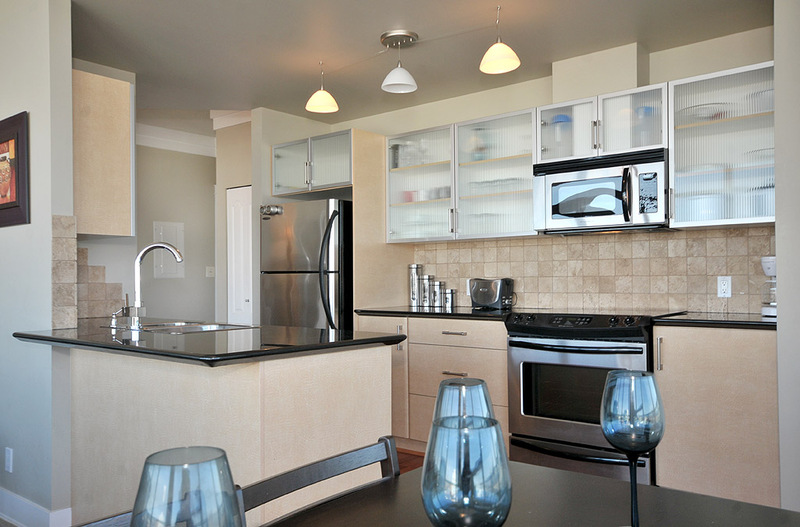 Wave 9 is well furnished to provide you with a comfortable and well-appointed stay. 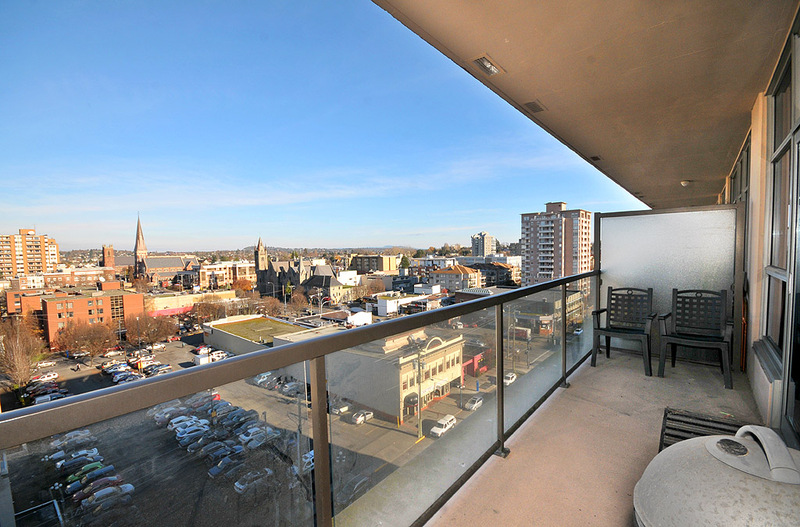 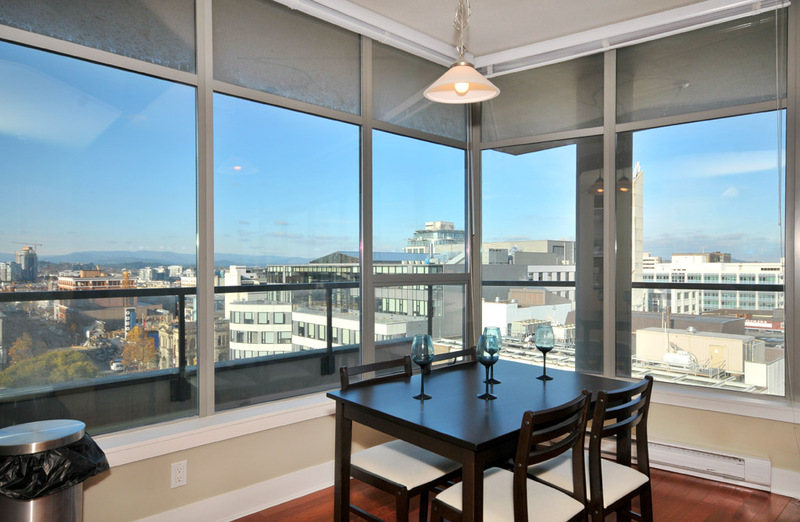 The 270 degree views can be enjoyed from inside through the floor to ceiling windows or, by stepping outside onto the spacious wrap around balcony which stretches the entire width of the condo. 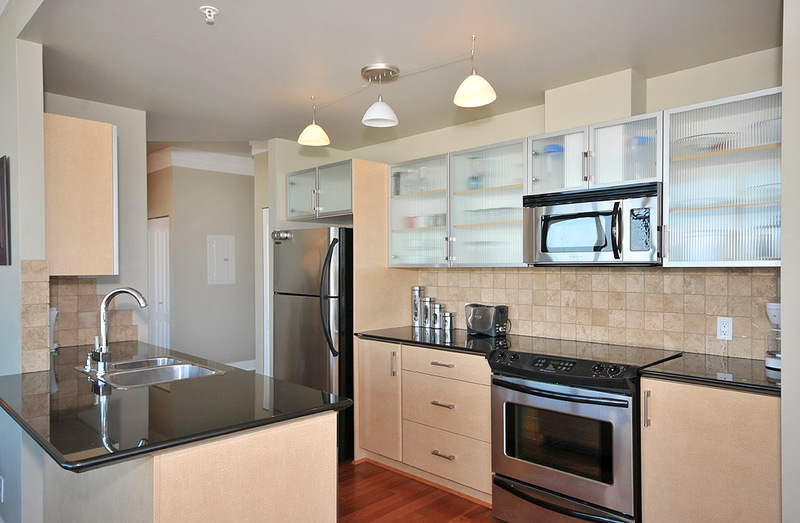 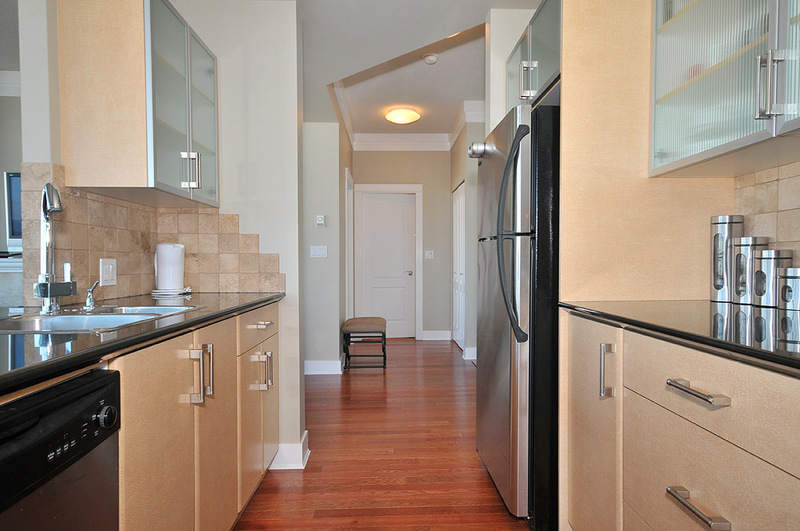 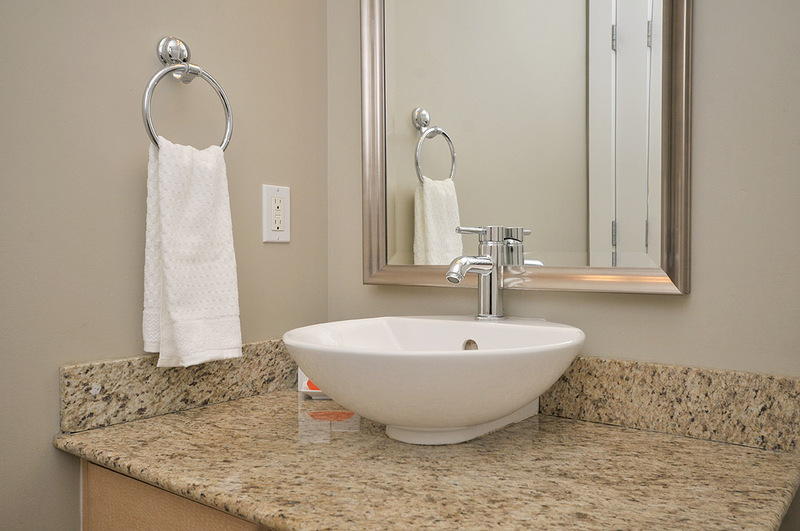 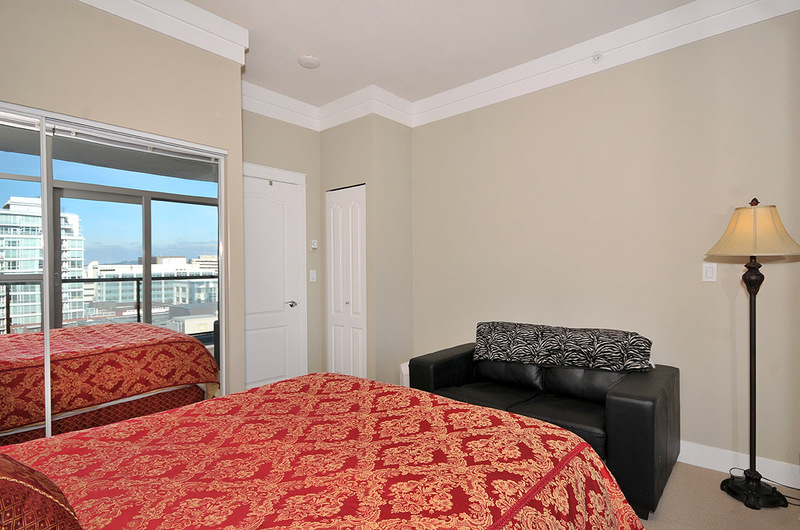 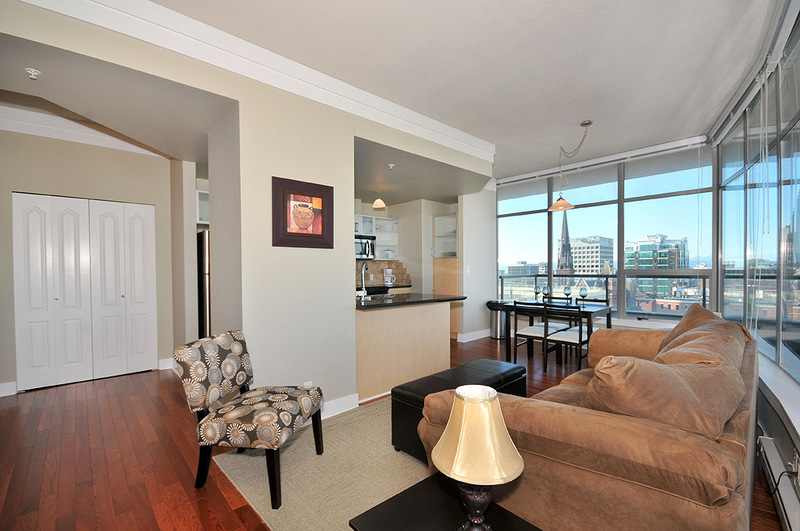 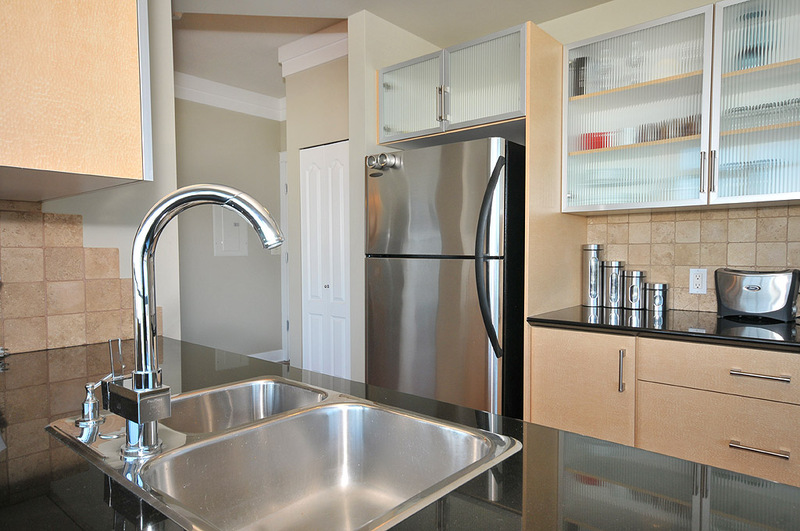 The Wave 9 condo is in newer building and has been equipped with comfortable furnishings. 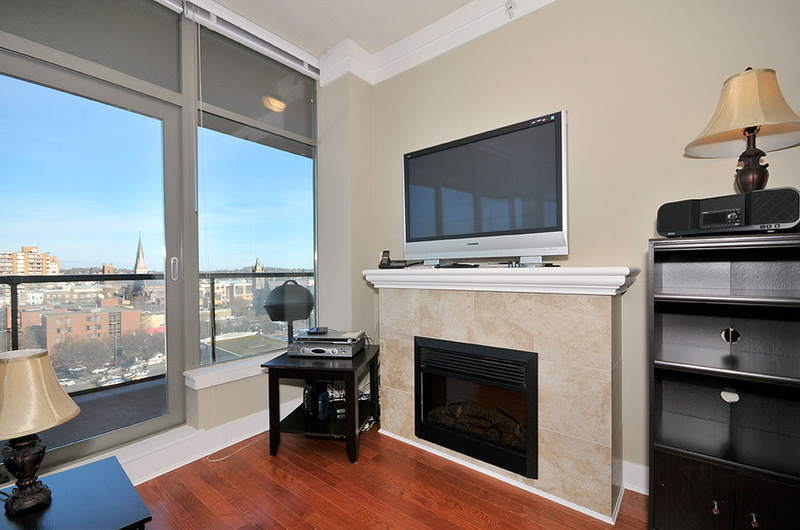 In the living room there is a large flat-screen TV, a DVD player, lounging sofa and chair, electric fireplace, high-speed wireless connection, and other furnishings to make your stay enjoyable. 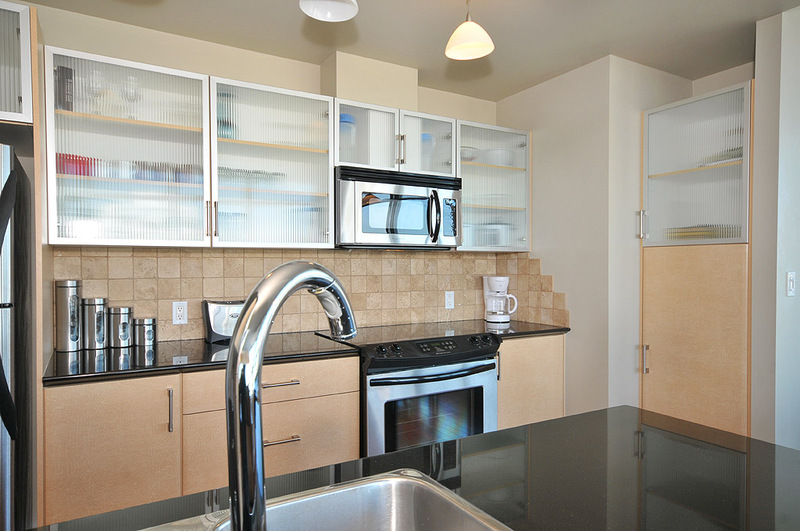 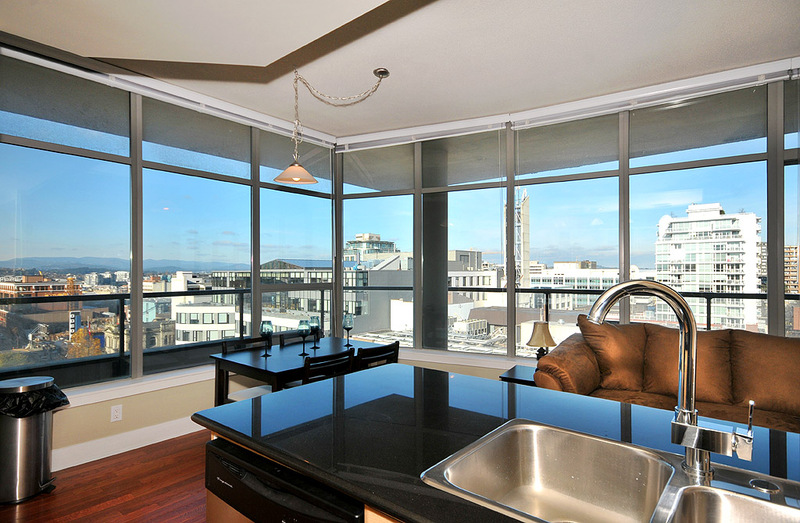 The kitchen is fully equipped for cooking and meals can be eaten in the dining area while overlooking the tremendous views of the city. 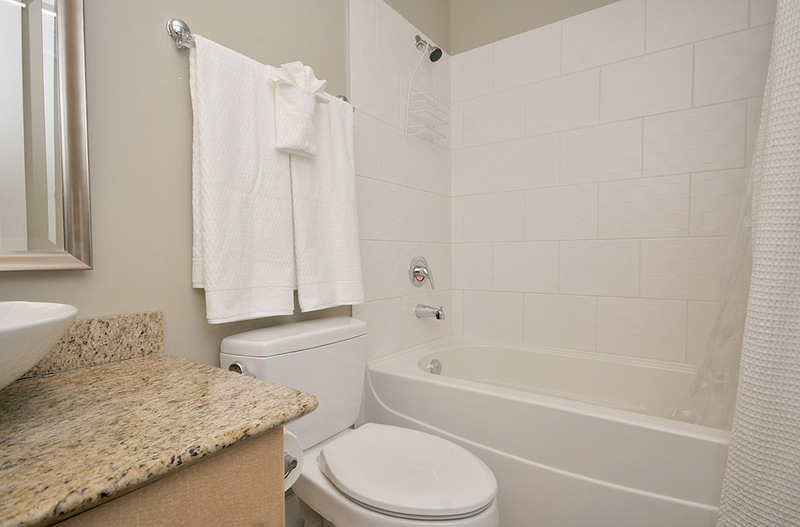 There is a front load washing machine and dryer in the suite. 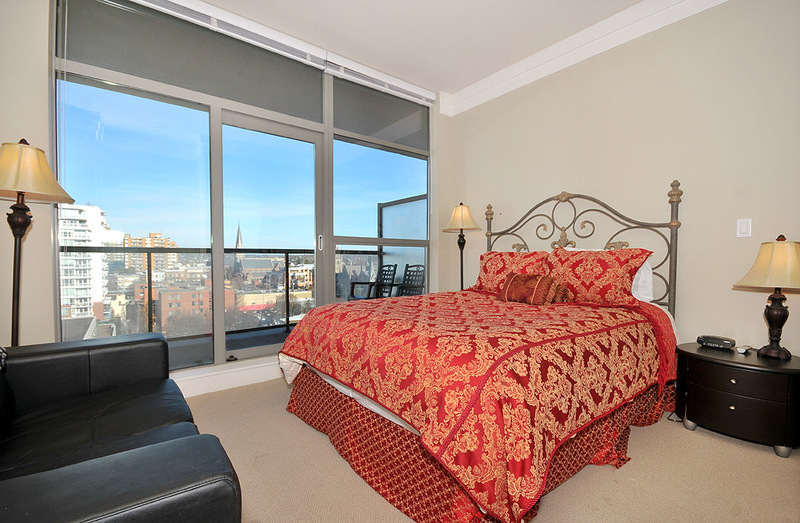 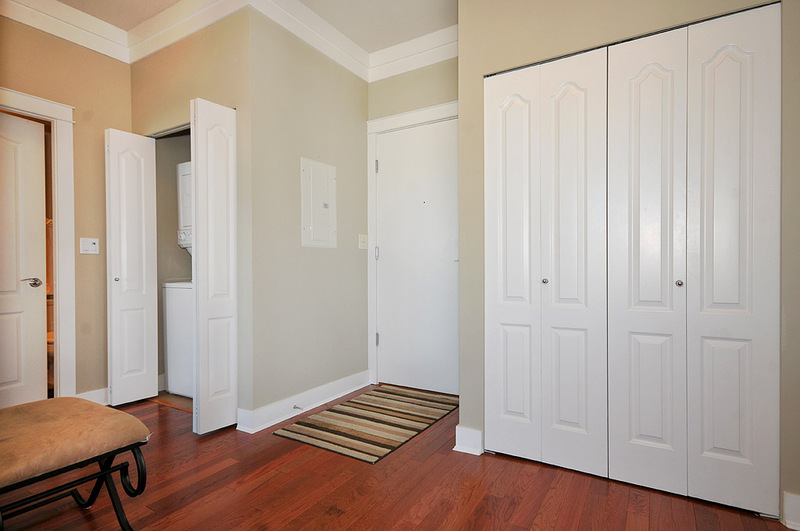 In the master bedroom there is a queen bed and plenty of closet space and private access to the balcony. 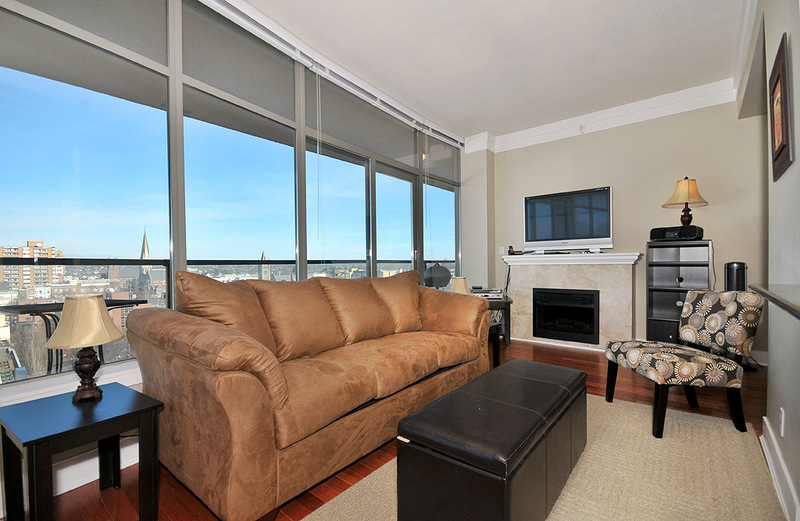 The sofa in the in the living room is a hide-a-bed that can sleep up to two additional guests. 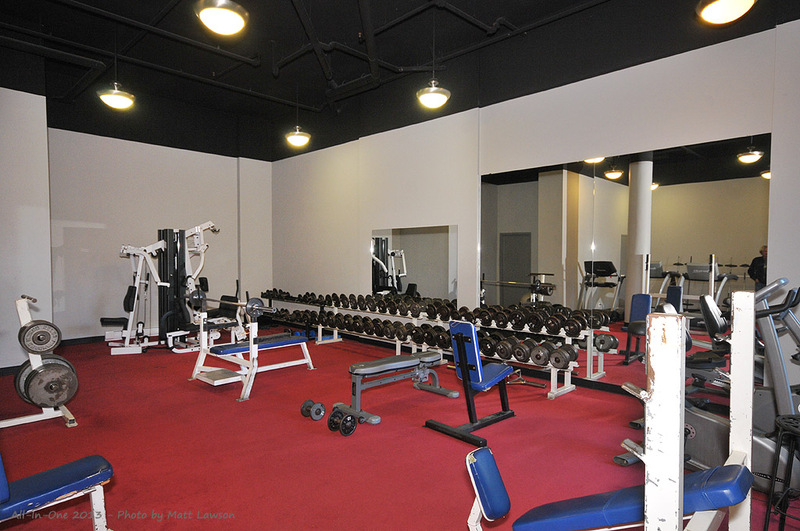 The building has a private inner courtyard as well as a full sized exercise room with all the equipment needed to stay in shape. 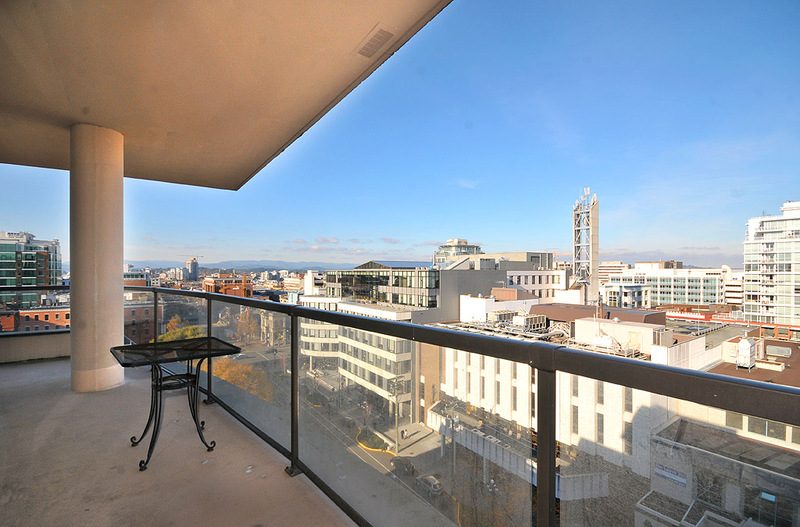 The Wave 9 provides walking access to so many of the amenities and attractions in downtown Victoria and around the Inner Harbour. 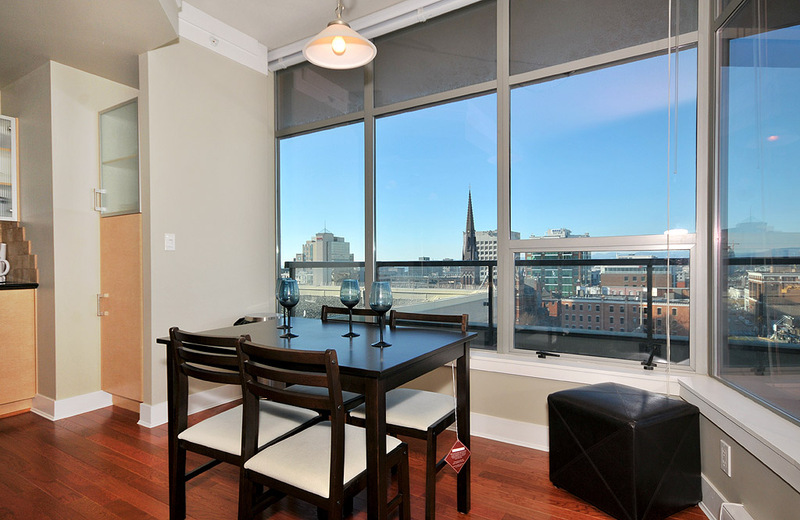 A fantastic grocery market, parks, theatres, coffee shops, and restaurants are all just steps from the building. 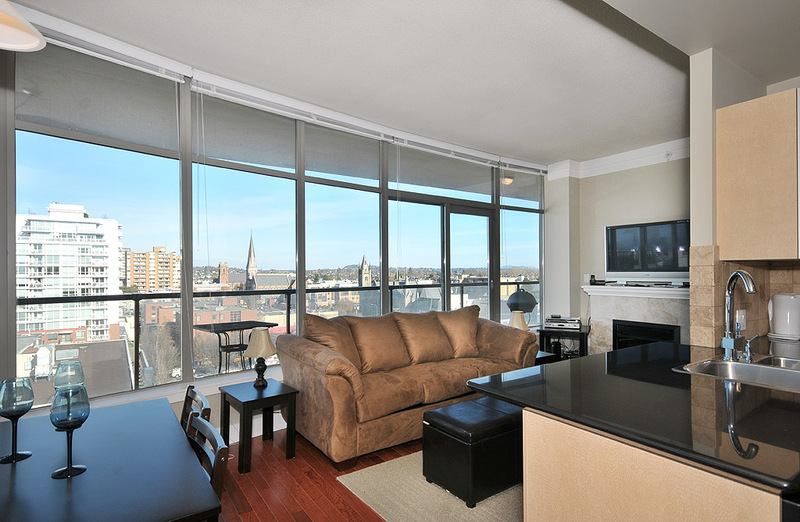 It is ideal for both the business and vacation traveler. 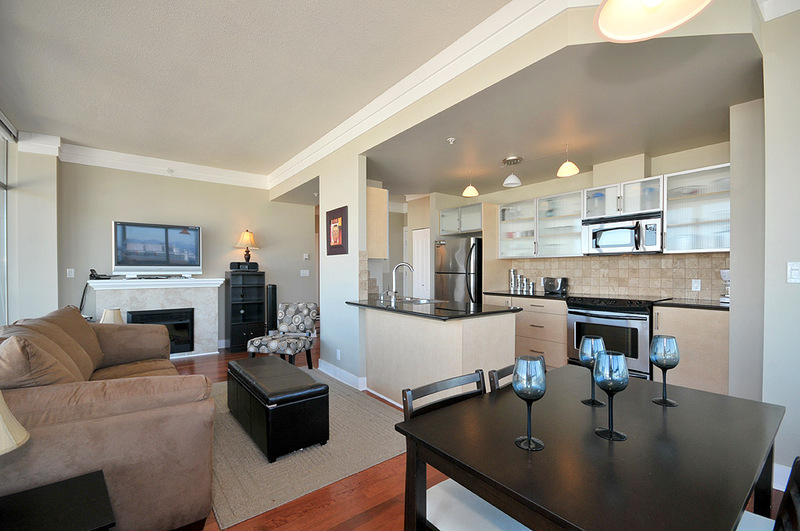 Make Wave 9 your next home away from home.